Flora & Fauna La La Llama: Two very different ways! An extra treat in today’s video….one stamp set, two ways! 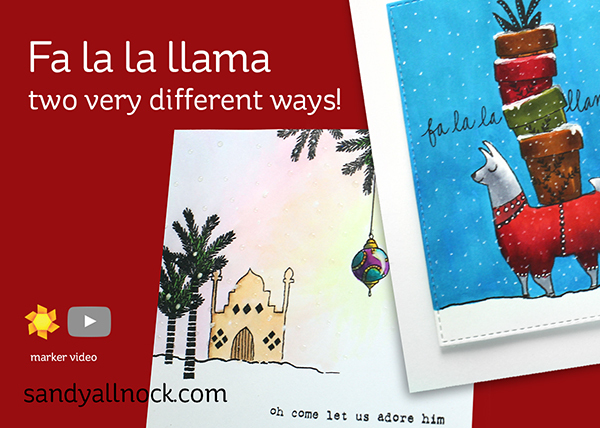 One is a Christian card with a simple scene…the other is a silly llama card. Got to love a stamp set that swings both ways, right? Watch the video below or click HERE to see it in HD on YouTube. The simple scene uses the tree as branches as well…. 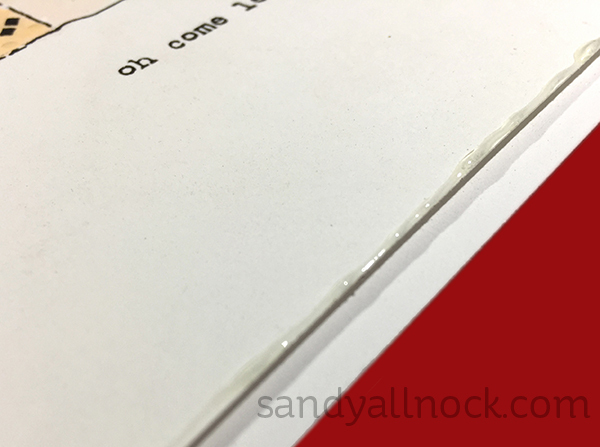 ….and the bead of Glossy Accents on the bottom edge of the popped panel feels really elegant! The llama can be wearing a sweater, or a full-on little jumpsuit! You can also stack up gift boxes or other Christmassy images too….llovely llama would be happy to cart around your Christmas gifts! 2 Gorgeous cards, thank you. Love your fantasy. I love how you used the building to evoke church. It encompasses so many people and places. Nicely done. I too like stamp sets that can swing in a couple of ways….but Christmas and llamas just seem wrong and not amusing…..to me. Just my humble opinion of course. I do like the simplicity of the other card though…tells the story perfectly. 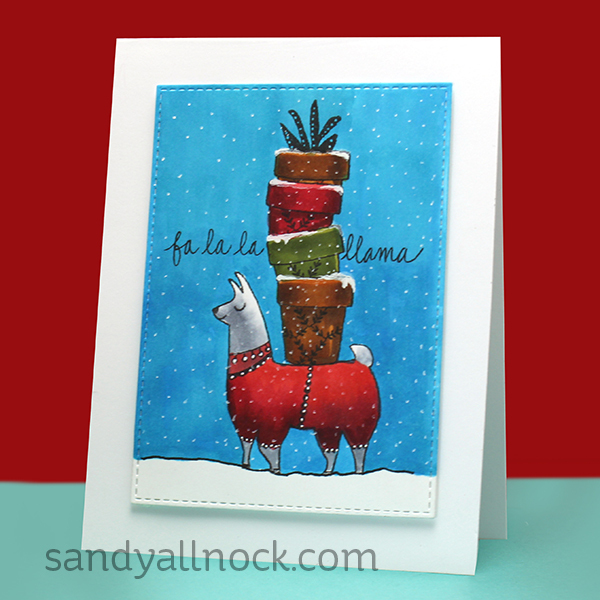 I agree with Diane Loughrey – only Sandy could make a Llama look so cute in a jumpsuit and make it Christmasy to boot – LOL! Very cute cards today – TFS! Love different scenes from one set.Thanks Sandy. I think you are the only one who can pull off a Llama in a jumpsuit!